NPR: Why aren’t Asian-Americans getting their ‘One Shining Moment’? Jeremy Lin cast a long shadow in this conversation, in part because there are so few Asian-American players to cast them. While we were looking at some NCAA stats on student athletes for a story last week, we came across a couple of numbers that made our eyes bulge: of the 5,380 men’s basketball players in Division I basketball last season, only 15 were Asian-American. Fifteen. There’s an argument to be made that Asian-Americans don’t need to be proportionally represented in basketball. And sure, that’s legit. But there’s a difference between being underrepresented and being virtually nonexistent, and it’s odd that the invisibility is in basketball — our most democratic popular sport, with relatively few obvious barriers to entry. No cleats. No ice rink. No pommel horse. Just a ball and a hoop. Other sports with above average participation (greater than the U.S. Asian-American population percentage of around 6%) were squash (8.2% for men and 10.0% for women), gymnastics for men (7.0%), and rifle shooting for women (6.3%). So again: There were 20 Asian-American men playing Division I squash in 2012, more than there were in DI hoops, even as there were only 193 men who played Division I squash in the entire U.S. I submit to you that basketball and race are the two most important concerns in American life, and with another Final Four upon us, humor me in some back-of-the-envelope theorizing. Might the paucity of Asian ball players be chalked up to the fact that Asian people are short? That’s the first thing folks might say, and if there are any biases at play, it’s a bias against the diminutive. And let’s consider some data points from Interbasket, a website for fans of international basketball. In 2011, it published a chart ranking the average heights of 20-year-old men from different countries. The list found that men in Asian countries were generally shorter — India, Vietnam, Cambodia, Indonesia and the Philippines were all at the very bottom of the list, with average heights falling between 5-foot-3 and 5-foot-4. The height of men in Asian countries doesn’t tell us much about men of Asian descent in this country. But consider that Nigeria was seventh from the bottom on that list, with an average height of 5 feet 5 inches. An Interbasket user decided to rank all of the active Nigerian players playing Division I college basketball in the U.S. in 2011, from best to worst, and he came up with a list that was 116 players long. We couldn’t find out the median or average height for college basketball players, but we did find a recruiting guide for the National Collegiate Scouting Association, which links middle-school students and high-schoolers to college sports recruiters. They gave a list of the ideal attributes that coaches should look for in Division I players by basketball position. The guide suggested that point guards, usually the smallest guys on the court, should be around 6 feet tall, while centers, usually the game’s Goliaths, should be around 6 feet 9 inches. In other words, anyone who plays DI basketball is going to be something of a physical outlier. Pointing to height across big populations tells us very little. “But Noung’s parents were not having it. Even though he was a straight-A student, they thought the community he was growing up in — and its black sport — was a bad influence on him. Might there be cultural factors at play? You know, maybe Asian folks just don’t like basketball. I turned to Bo Noung — who runs Asianballers.net, a site about Asian basketball players — to tease this idea out some. But his parents were not having it. Even though he was a straight-A student, they thought the community he was growing up in — and its black sport — was a bad influence on him. So he hid his basketball from his parents, who eventually found out and made him quit the team. It’s still a sore spot. “I play basketball to this day against my parents’ wishes,” he said. Noung said that in his experience, Asian-American parents were stricter about athletics than others. And he said that in the larger culture, our racial binaries mean that Tiger Woods — one of the most famous people of Asian heritage on the planet — is viewed simply as a black guy. When I told Noung that there were 15 Asian players in college ball last year, he seemed surprised. “That’s a high number to me,” he said. But consider the fact that basketball is a central component of the culture in many Asian-American communities, particularly on the West Coast. Take, for example, the enormously influential Japanese- and Chinese-American rec leagues in California. Colorlines‘ Jamilah King reported on how those leagues have been central to the organization of their communities since the early 20th century. “For people my age, fourth-generation Japanese-Americans, [basketball] is in a weird way the main cultural hub and the one commonality that most Japanese-Americans have with each other,” says Tadashi Nakamura, a filmmaker. 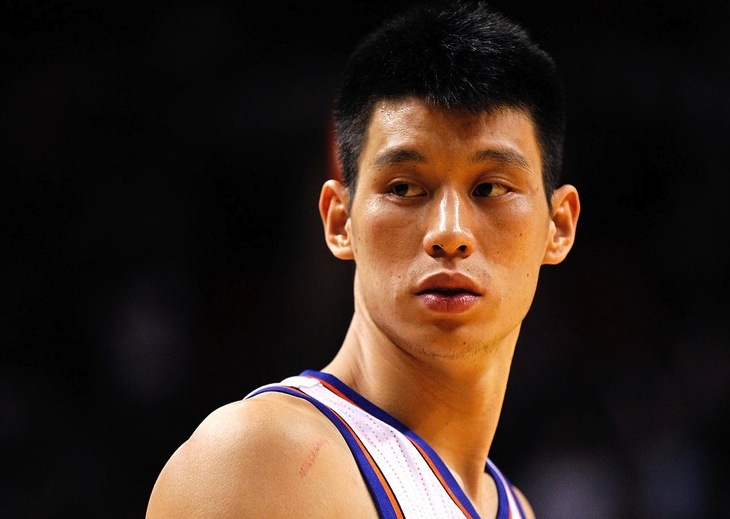 The social benefits of basketball are also felt in the Chinese-American leagues. Cynthia Ting is a Chinese-American basketball player who grew up just south of San Francisco. Ting says she grew up as a shy kid and had a hard time coming out of her shell. “Asian league basketball has allowed me to form some of my closest friendships,” Ting says. One person’s taboo is another person’s communal pastime, because, as always, a group’s “cultural inclinations” tend to defy simplicity. That goes doubly for “Asian-Americans,” a title used to designate millions of folks whose roots reach back to dozens of different countries. Clearly, there are lots of folks who grow up hoop-obsessed in California’s popular Asian rec leagues. So why haven’t those leagues been a pipeline for DI teams? Chalk some of this up to how basketball talent is scouted and recruited. Certain school leagues and AAU teams become known as hotbeds of hoops talent, and so that’s where recruiters focus their attentions. Many big-city school systems have relatively few Asian-Americans. If there are Asian-American players out there who could thrive on the DI level, they’re probably not where folks typically look for basketball talent. And it’s possible they’re missing what’s in front of them. Somehow we got this far without mentioning Jeremy Lin. Lin is an outlier, and one of the reasons his story is so fascinating is that it flies in the face of these explanations. Too short? Nope. At 6 feet 3 inches tall, he has prototypical point-guard height. Familial/cultural aversion to sports? His dad was a basketball junkie, his mom attended all of his high school games, and both of his brothers played ball. Was he off the radar? 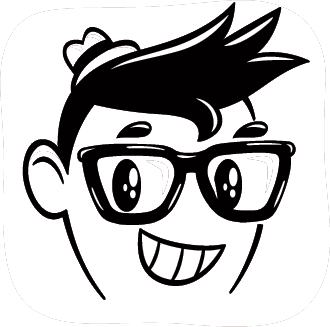 Lin was regularly featured in his local Bay Area newspaper in high school. As a senior he was named California’s co-player of the year for his division — a year in which his high school, Palo Alto High, won the state championship. But despite that impressive resume, not one of the 351 colleges with a Division I basketball program offered him a scholarship to play ball for them. He eventually decided to play ball at Harvard, which doesn’t offer athletic scholarships. It’s always hard to prove counterfactuals. And there have been other players who have risen from obscurity to basketball fame, like Scottie Pippin and Dennis Rodman. But if scouts couldn’t envision someone with Lin’s height and resume as a scholarship-level athlete, one wonders how many other potential college standouts don’t pass the eye test. We tend to think of sports as a meritocracy, as a rare space where talent will always out. But sports looks just like the rest of the world when it comes to how talent is located and groomed. Over time, informal networks become the structure of recruiting, the gateway through which everyone must pass. So what am I missing here? Are there any other reasons Asian-Americans might be next to invisible in college hoops? If you’re Asian-American and played intercollegiate college hoops at any level, we’d love to hear about your experiences. In this first book-length study of media images of multiracial Asian Americans, Leilani Nishime traces the codes that alternatively enable and prevent audiences from recognizing the multiracial status of Asian Americans. 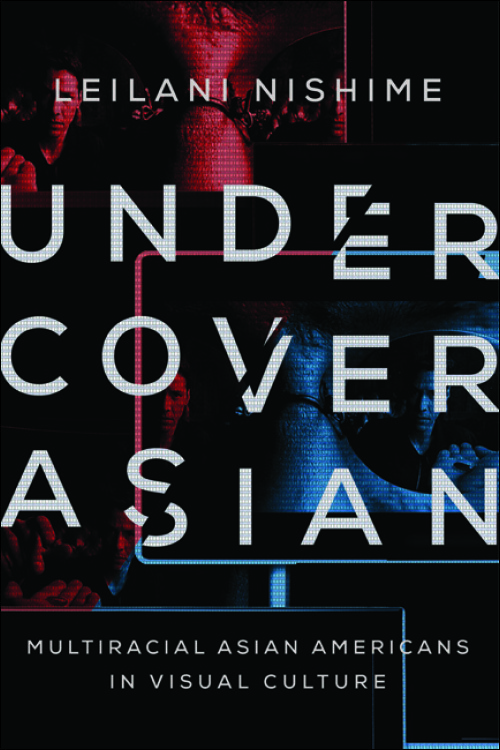 Nishime’s perceptive readings of popular media–movies, television shows, magazine articles, and artwork–indicate how and why the viewing public often fails to identify multiracial Asian Americans. Using actor Keanu Reeves, golfer Tiger Woods, and the television show Battlestar Galactica as examples, Nishime suggests that this failure is tied to gender, sexuality, and post-racial politics. In contrast to these representations, Nishime provides a set of alternative moments when audiences can view multiracial Asians as multiracial. Through a consideration of the Matrix trilogy, reality TV star Kimora Lee Simmons, and the artwork of Kip Fulbeck, these examples highlight both the perils and benefits of racial visibility, uncovering our society’s ways of constructing racial categories. Throughout this incisive study, Nishime offers nuanced interpretations that open the door to a new and productive understanding of race in America. Leilani Nishime is an assistant professor of communications at the University of Washington and the coeditor of East Main Street: Asian American Popular Culture. Chinese prodigy Guan Tianlang, 14, will take on world number one Tiger Woods and Rory McIlroy in a “skills challenge” before an 18-hole showdown between the two pros, organizers said today. In April, Guan became the youngest to compete at the Masters, and despite being penalized a stroke for slow play, still managed to finish the leading amateur. “The Match” between Woods and McIlroy will be held over the Blackstone Course at Mission Hills Haikou, on the Chinese island of Hainan, on October 28. As part of the showpiece, the “skills challenge” features the three players hitting shots at three targets at a distance of 50, 100 and 125 yards. Guan added: “It will be nice to see Tiger again because he has been very supportive, such as when we practiced together at this year’s Masters.